A DLR model of an aerodynamically controlled capture system. Reducing the cost of space missions is one of the core aims of outfits such as SpaceX and Blue Origin, with both companies having developed reusable rocket systems capable of landing first-stage boosters back on Earth. Germany’s DLR space agency is also looking to create a reusable launcher for European space missions, but one markedly different from those currently being used. The ambitious-sounding system would feature a first-stage booster with wings that would be caught by an aircraft during its descent and then towed toward a landing strip. On final approach, the aircraft would release the booster for a glider-like landing. No, this isn’t an April Fools’ joke. It’s a real plan. The project, which involves six international partners, has been dubbed FALCon — short for “Formation flight for in-Air Launcher 1st stage Capturing demonstration” — and will run for three years until March 2022. 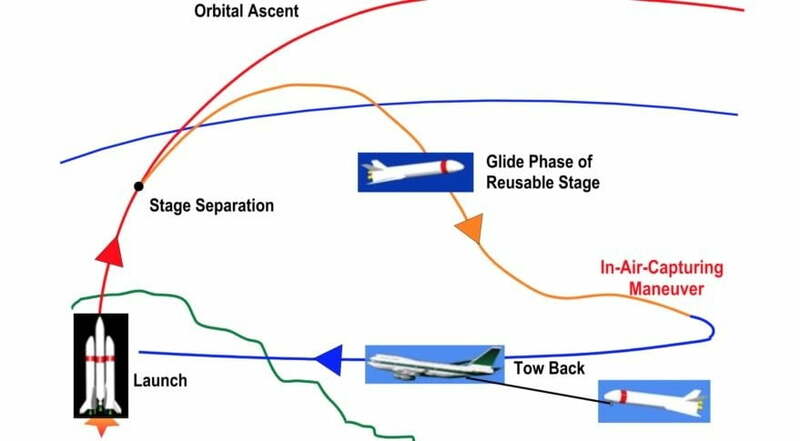 Its stated goal is to develop a technical concept for the rocket catcher that’s advanced enough to undergo testing using small demonstrators for autonomous in-flight capture and towing. 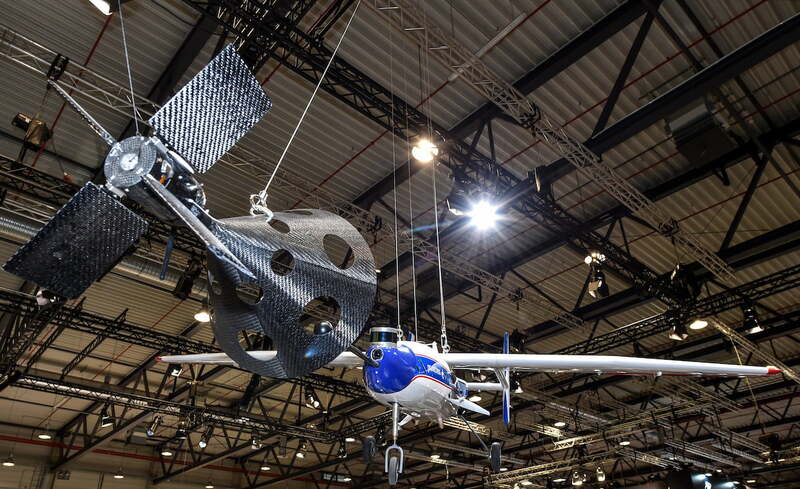 The technology behind the system has already undergone a degree of testing using uncrewed light aircraft, Germany’s space agency said. DLR hopes the design will slash the cost of satellite launches and also improve the environmental compatibility of rockets as they should require less fuel than existing systems that need it for controlling a rocket’s descent back to terra firma. As Space.com recently pointed out, DLR is not the only one exploring different ways to reuse rockets. Airbus, for example, has proposed a winged system for flying boosters back to Earth, while United Launch Alliance is researching a method called SMART Reuse — or Sensible Modular Autonomous Return Technology — that uses an inflatable hypersonic decelerator, a parafoil, and a helicopter that catches the booster during its descent.